About The Health Doctors, Ltd.
Our mission is to adjust and empower families toward living a living a strong, health and vital life. 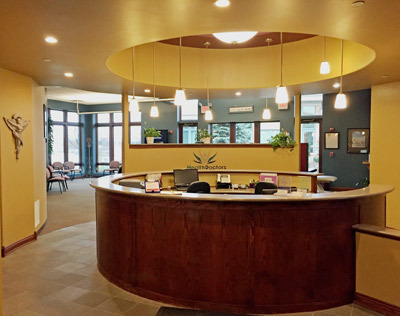 Dr. Jim has been in practice over 20 years and established The Health Doctors, Ltd. in Warrenville in 2007. Since then, our team has had the pleasure of treating local members of our community and patients from many different states and countries. At The Health Doctors, Ltd., we take a team approach to wellness that helps create a specific target on your journey. We treat a full spectrum of health concerns by addressing the whole person – body, mind and spirit. From pediatric health issues to seniors in their ninth decade. At The Health Doctors, Ltd., we believe that your path to optimum health is a family affair. Our unique approach to your family’s wellness creates an atmosphere of healing that begins in our office and continues in your home. We believe in treating the family in order to support your journey toward health. One of our youngest patients, unfortunately experienced a traumatic birth and was born with Cerebral Palsy. He began his regimen of chiropractic care at the age of six months. It’s common for patients with CP to have recurring infections that require many trips back to the hospital and frequent antibiotic treatments. Our patient hasn’t had one infection in the 18 months that we have been adjusting him and his family. His in-home nurse, with over 30 years of experience supporting CP patients, has never seen a child not have an infection. She credits chiropractic care for helping his body keep itself well. We are excited about helping you get healthy and stay healthy. Schedule your appointment by contacting our office today.